A hand held body shield with ergonomic features. 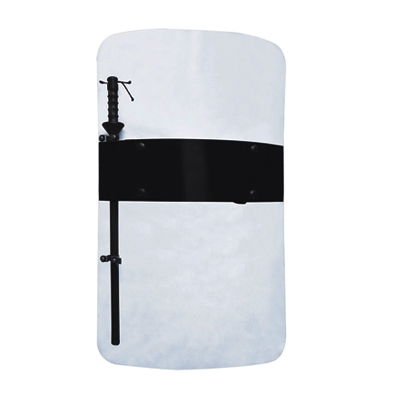 Shield is 4mm thick, 24" wide and 48" tall with a formed radius. The ID label that is supplied must be specified at the time of the order. Example, "POLICE", or "SECURITY". Shield has superior optical quality and workmanship.